A hand woven oval basket containing a terracotta plate that can be placed in the oven to absorb heat before your meal. Then, when you are ready, the plate can be presented in the basket to keep your fresh bread warm during your meal. 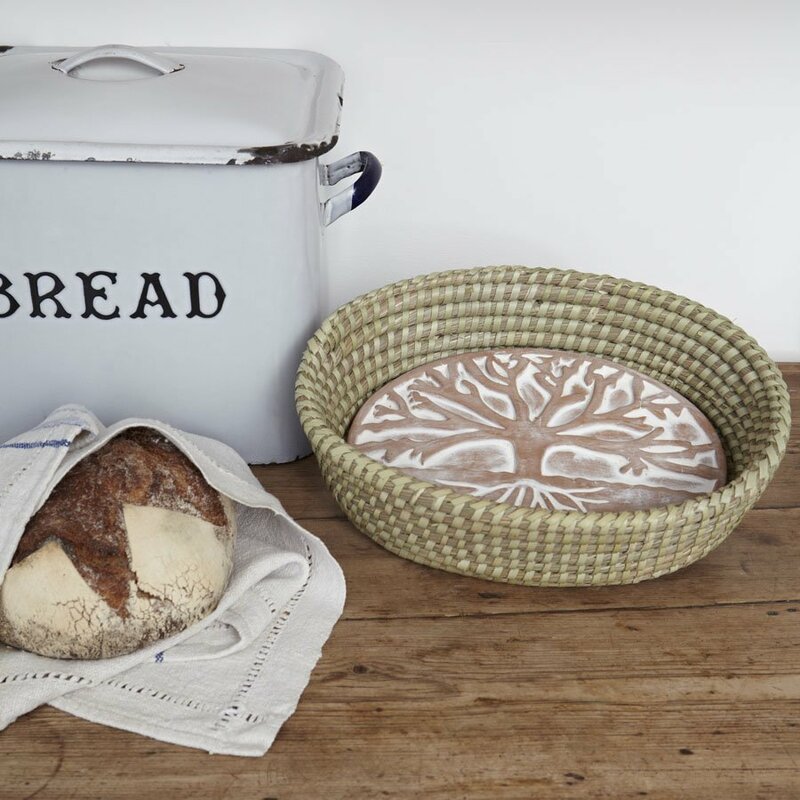 This fair trade bread warmer is decorated with an inspirational tree of life design on the whitewashed surface of the plate and the basket is handwoven from strong Kaisa grass. Complete with printed warming instructions. The Tree of Life Bread Warmer product ethics are indicated below. To learn more about these product ethics and to see related products, follow the links below. There are currently no questions to display about Tree of Life Bread Warmer.